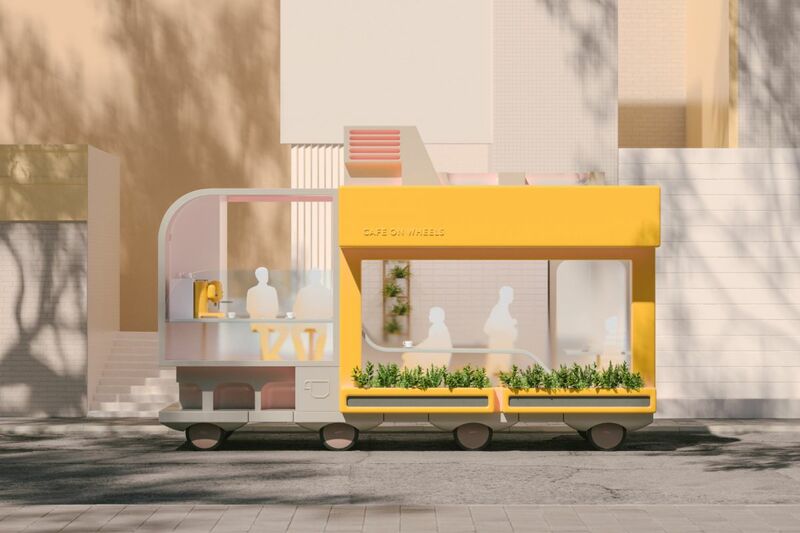 A mustard-yellow cafe on wheels, complete with an espresso machine and flowerbeds outside the windows. 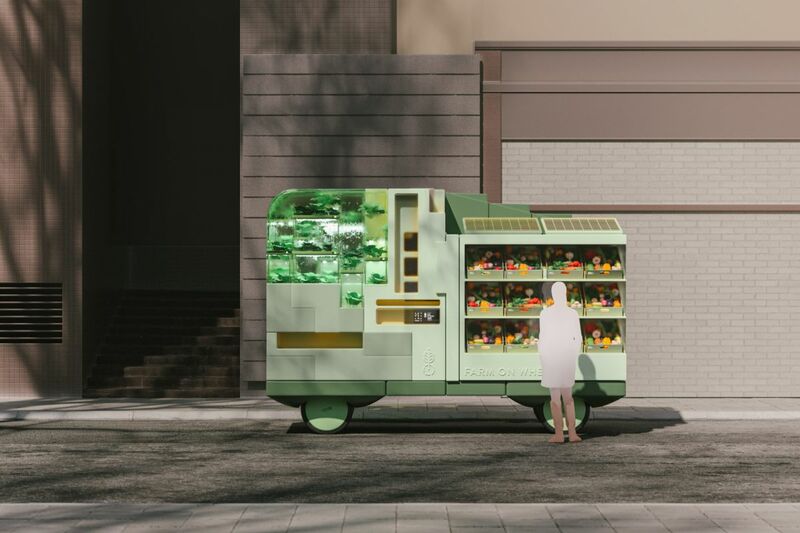 A rolling farm stand with bins of fresh produce and leafy greens growing in a mini-greenhouse. A chic pop-up shop that drives to your location so you can try out its wares before buying. 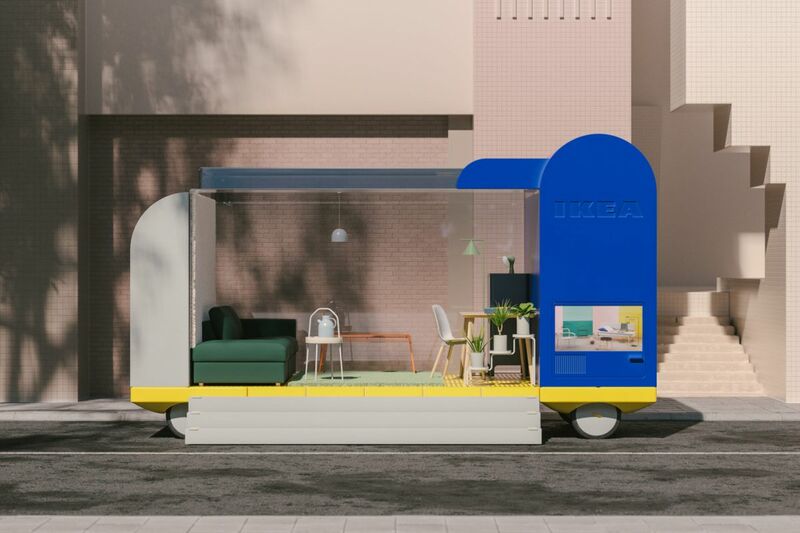 Those are just a few of the seven outrageous concepts for the autonomous cars of the future debuted this week by SPACE10, a Copenhagen-based “future-living lab” run by furniture maker IKEA. 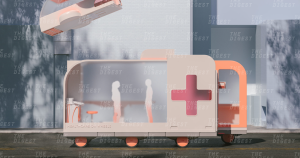 In a post about the concept vehicles, SPACE10 explains that the plans explore the new vehicle designs that will be possible when autonomous cars become commonplace. SPACE10’s concept vehicles are so far-out that it’s hard not to see them as just a little silly. It’s hard to imagine how flowerbeds, for instance, would hold up to the wear and tear of the road — plus the designs seem to lack seat belts. They’re not exactly road-ready. Still, the cars are a joyful exercise in imagining how leisure, work, and transportation could intersect, all thanks to new technology. More on robotics: Want to Ride in a Self-Driving Car? This Is What It’s Like.